The southern gateway to the alluring backwaters of Kerala, Ashtamudi derives its name from its eight branches or channels. 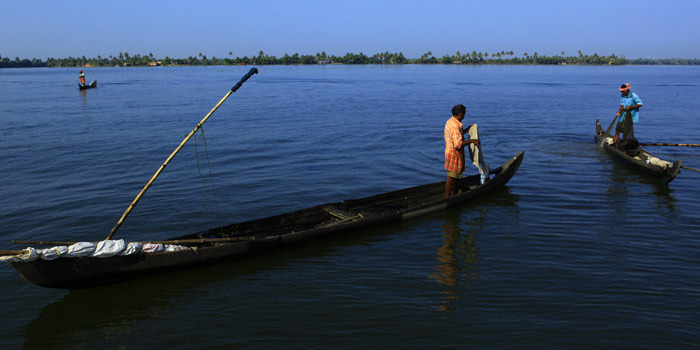 With a unique wetland ecosystem, Ashtamudi is second only to the Vembanad in terms of its size and beauty. 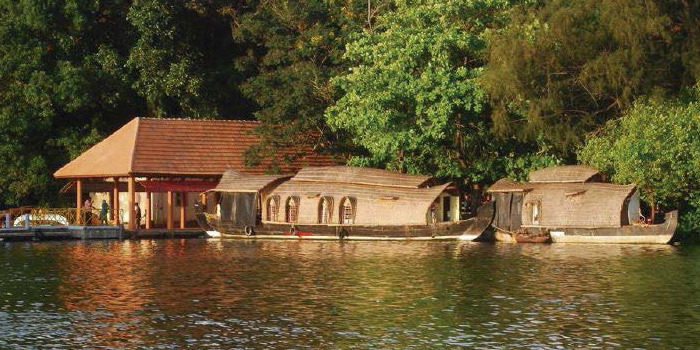 The backwater cruise from Kollam to Alappuzha along the 61km long lake is regarded to be the best backwater cruise in Kerala. 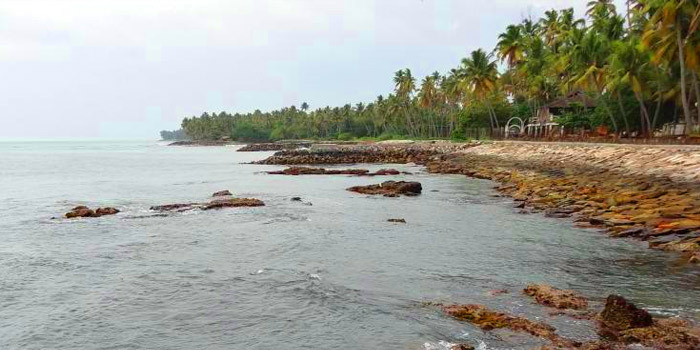 Situated barely 1.5km away from Kollam town, this village lies alongside the serene waters of the Ashtamudi at the North. The 200 year old Residency Bungalow, the erstwhile residence of Lord Muroe, the Adventure Park, Childrens' Traffic park etc. are a few of the attractions here. 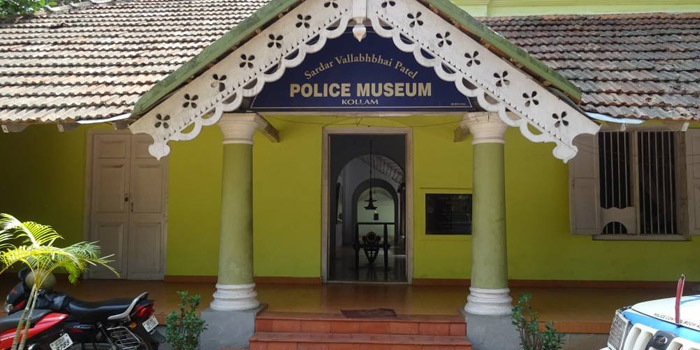 An establishment that traces the growth and development of the Police force, the Police Museum is the only such establishment in India. Police arms of the 18th and 19th centuries are just a few of the several relics on display here. A major highlight of this museum is the Martyr's gallery. Once an active harbour for Chinese ships and trade, Kollam Beach located barely 2km from the city is home to Chinese water pots, Chinese fishing nets and sampan-like boats seen even today. The renowned Mahatma Gandhi Park located here is another favourite haunt of visitors apart from the golden beach. 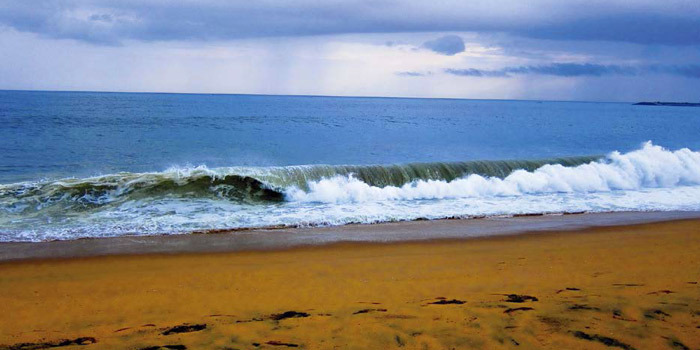 A secluded beach away from the hustle-bustle of the city, Thirumullavaram Beach is the ideal picnic destination. It is here that thousands of Hindu devotees perform 'Vavubali' on new moon days of the Malayalam month of 'Karkidakam'. Legends say that the Thirumullavaram Maha Vishnu Temple located here was built by Parasurama. An enclave of the Portuguese, Dutch and the British in succession, Thankasseri is a land where history sleeps. Home to the ruins of an old Portugese Fort and churches built in the 18th Century the destination is located 5km from town. 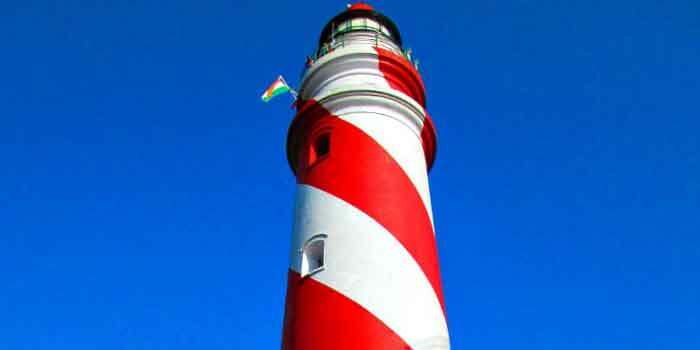 The Thankasseri Lighthouse is another attraction here. The view of the breakwater here from atop the lighthouse is an added delight. 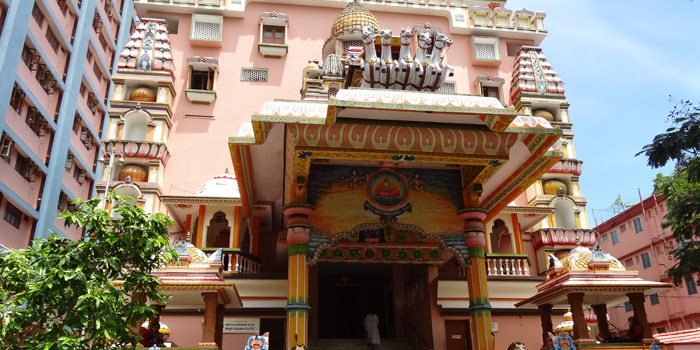 Vallikavu is home to the residence and headquarters of Matha Amritanandamayi, one of India's great spiritual gurus. Amritapuri Ashram as it is known is an international pilgrimage centre for those searching for solace, inspiration and inner peace. A colonial villa revamped without compromising on its colonial charm, '8 Point Art Cafe' is Kollam's first art gallery. The name of the gallery which lies alongside the Ashtamudi Lake symbolizes the eight creeks of the lake, the eight forms of art and the eight point brush painters largely use.